professional capacities. Wellspring looks forward confidently to many more years of providing assistance to the communities of Nailsea and surrounding towns and villages. 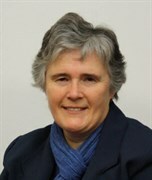 We are pleased to welcome Janet Blannin to the Board of Trustees and wish her a long and happy association with Wellspring. The current Trustees are: Dr Mary Backhouse, Janet Blannin, Revd Mandy Briggs, Dr Dave Cox, Mr Rob Swift (Treasurer/Company Secretary), Revd Tony Roake, Mr Chris Serle (Chair). Chris Serle, as a Radio and TV producer and journalist, has had an extremely busy career working on a wide range of broadcasts, perhaps most notably “That’s Life!” and “In at the Deep End” for BBC television. He now confines himself to a few selected freelance assignments, active involvement with local and national charities and his growing family. 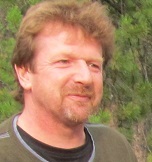 He is proud to serve as chairman of Wellspring Counselling. Dr Mary Backhouse has been involved with Wellspring since its foundation. She is a GP at Nailsea Family Practice. Over the last 20 years many of her patients have been greatly helped by counselling from Wellspring. 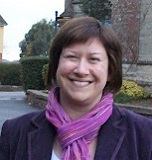 Rev Mandy Briggs served as minister in pastoral charge of Nailsea and Backwell Methodist Churches from 2008-2014. A former journalist, she is now based at The New Room (John Wesley’s Chapel) in Broadmead, Bristol, as education and outreach officer. Working in the city centre brings her into contact with many interesting people and diverse communities. Mandy is married to Niall and they live in Kingswood. 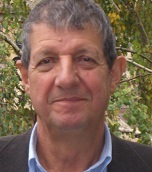 I am a GP and have been working in Backwell/Nailsea since 1989. I joined the Trust in 2014 and have great admiration for this wonderful counselling service this organisation has provided for over 20 years. I am still striving to become a Folk superstar in my spare time. Married to Jill since 1975. Three adult children. One grandchild. Two dogs. 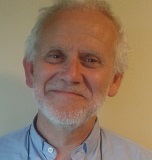 Rector of Christ Church, Nailsea and Tickenham since 2012. Was beguiled into becoming a Rovers fan on moving to Nailsea, so I'm used to living with the hope that the best is yet to come.